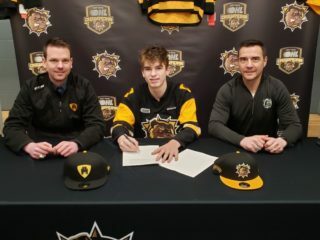 While it’s been just less than three months since the Hamilton Bulldogs finished their dream OHL Championship season, it’s time to start looking forward. 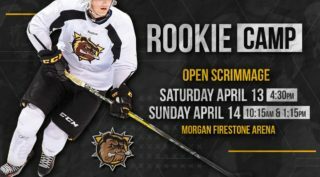 The Bulldogs begin preparations for the 2018-19 OHL regular season with the start of Training Camp on Tuesday August 28th as players will be divided up into three teams for practices. Scrimmages will be held at FirstOntario Centre on Wednesday August 29th at 10:45 am, 2:30 pm and 6:15 pm with each team playing twice. The annual Black and Gold game goes on Thursday August 30st at 10:30 am. 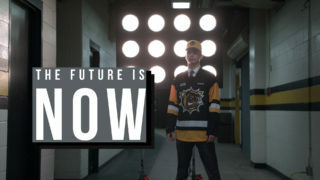 The Bulldogs will then take part in the 4-team OHL Showcase to be held at Harborcenter in Buffalo, NY. along with the Erie Otters, Flint Firebirds and Windsor Spitfires. The Bulldogs then wrap up the pre-season with a game on Saturday September 15th when they travel to the Sleeman Centre in Guelph to face the Storm at 7pm. 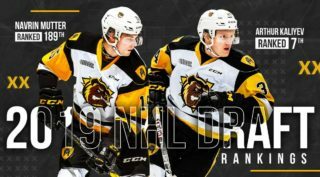 Hamilton opens defense of its OHL Championship on September 21st in North Bay with the unveiling of the Championship banners at the home opener at FirstOntario Centre on September 30th against the Ottawa 67’s at 2 pm.